How Lemon Baked Chicken Thighs stops the family from saying chicken again …. Well yes chicken is a main protein in our modern day diet. So how do you change it up a little? With spices and citrus that’s how. By adding Lemon to the meat it has a very refreshing taste added to it. Place the chicken thighs one at a time in to the zip bag and shake the thigh around covering it completely. Finish baking and serve hot. The recipe is simple and easy to put together. You can scale it up as much as your family needs. 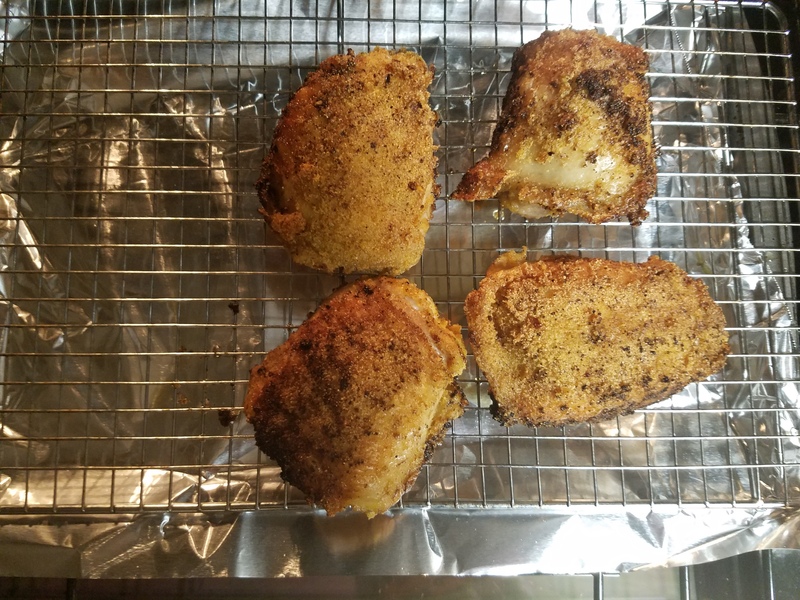 If you let the heat come up before you put the chicken in to the pan, the chicken will brown up real nice and you won’t have a big mess in the bottom of the frying pan. The pan is ready (hot) when the meat sizzles when you place it in the pan. Chicken is so versatile that it can be served with almost anything, not yo sure it would be a hit with Ice Cream but for someone it would be fine. I myself prefer a starch and vegetable so some kind. Keep this in mind for when your looking for something with a twist.